Made a chest of drawers from zero. We started this project together from the beginning step by step. Choosing and buying wood, looking to the currently prices was the first step for the final price calculation and actually the most important. A correct choice in the departement store is crucial to save time in the process and minimize risk of main defects that can lower down the price of the craft. Second stage was into Ruyman’s sawmill where bigger machine with better processing time helps to have better and cheaper semi-finished material. After this external trip we had all the material we need to start the proper woodworking process in Carlos workshop. Every moment I had my block notes to report and scribble down all the important things that occurred during the construction. Every action you do, if it is not well planned, it will concern seriously on the earnings of the company. Finally we delivered the item to the customer and was the last stage of the job. 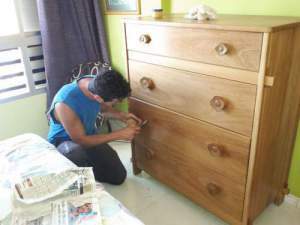 Carlos’s company is tiny and there is a strictly contact with the customer that is a good part of the job because you can feel the happiness and the satisfaction of the person that wait one month (or more)to have now his unique piece in the bedroom! we can’t use in the main production that could have a second life. 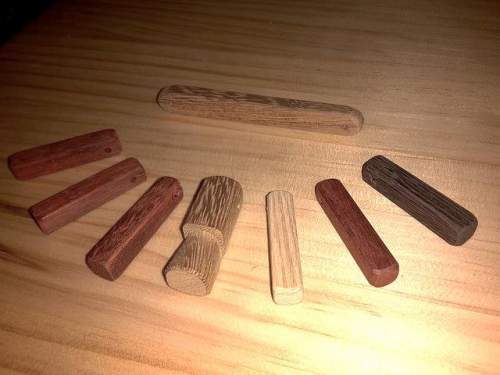 Wooden jewelry could be an idea for the christmas fair we will involved in.